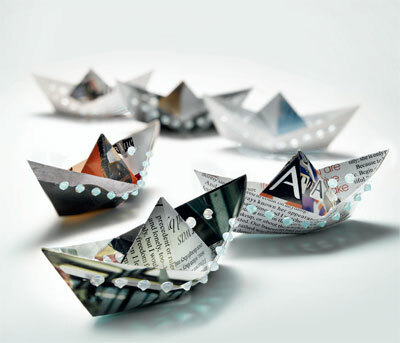 Use a sheet of paper from an old magazine or newspaper with illustrated dimensions. 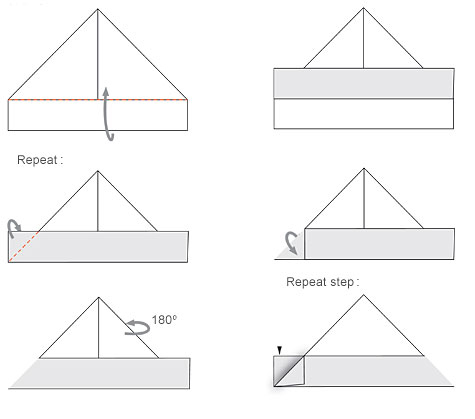 Fold it in middle and bend triangles over as shown. Pleat remaining rectangles over each other on one side and then bend the small corners over each other on the other side as well. 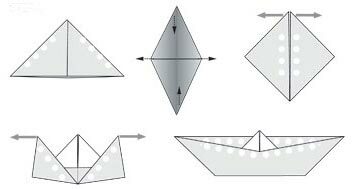 Pull the triangle apart as illustrated. 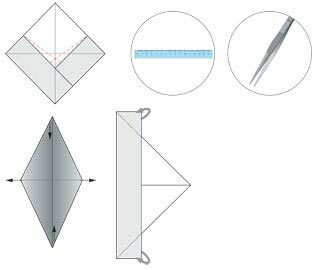 Fold the ends up on both sides. 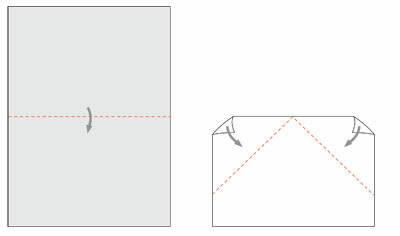 Use a ruler and the tweezers tailing the two dashed lines as shown in illustration. Fold small corners up again. 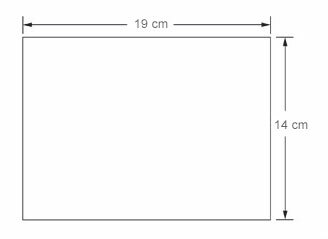 Use the ruler to draw "helping line" and marks for holes. Pierce the small hole with a needle, then use the punching pliers and punch in 10 holes spacing them 1cm apart (0.5cm from the needle hole) as shown. Punch a second hole as shown. Repeat Step 6 on the other side. Bend the ends up. 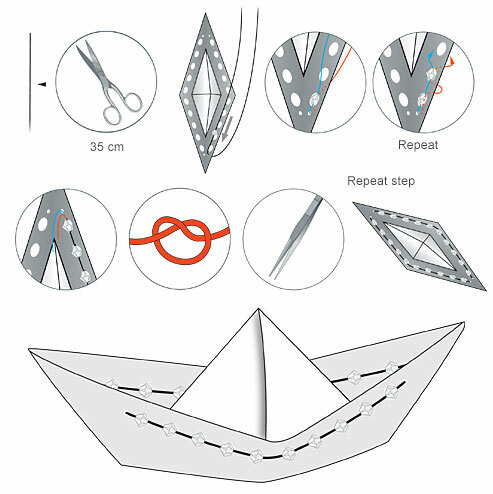 Open the triangle figure and pull the sides up in order to get the desired boat figure as shown in illustration. Take the 35cm nylon thread and slide it into the small hole threading on the XILION beads art. 5328 from the Swarovski crystal assortment. Form a loop as shown in illustration. One thread goes inside and one outside. Repeat this step on the other side until all beads are used. Shorten the thread ends and pull them with tweezers into last small hole and tie a knot.